Congratulations to Logan Dalton on his award-winning 3D-printed vascular shunt! 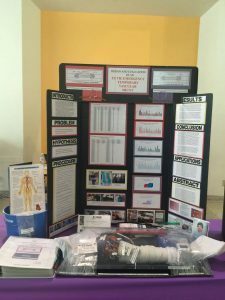 An eighth-grader at Gaspar De Portola Middle School in Tarzana, CA, Logan took home first place at the 2016 Los Angeles Science and Engineering Fair and second place at the 2016 California State Science Fair for his original invention, the “EZ Tie Emergency Temporary Vascular Shunt,” which features a shunt clip printed on an Airwolf 3D HDL printer. Prior to the early Twentieth Century, there was a much higher rate of amputation due to traumatic limb injury. Starting in 1919, military surgeons started using the temporary vascular shunt, which is basically a tube inserted into a damaged artery. Traditionally, silk ties are used to hold the tube in place. The shunt then works to aid circulation and slow blood loss, increasing the amount of time a person has to get medical help before they risk complete limb loss or even loss of life. Logan’s EZ Tie Vascular Shunt is intended to make the process even more effective. Designed for use by lay people and intended to be included in First Aid medical kits that contain tourniquets, Logan’s 3D-printed vascular shunt utilizes a shunt clip created with an Airwolf 3D printer and eschews silk ties in favor of micro zip ties. The result is a shunt that is easier and more effective to use. 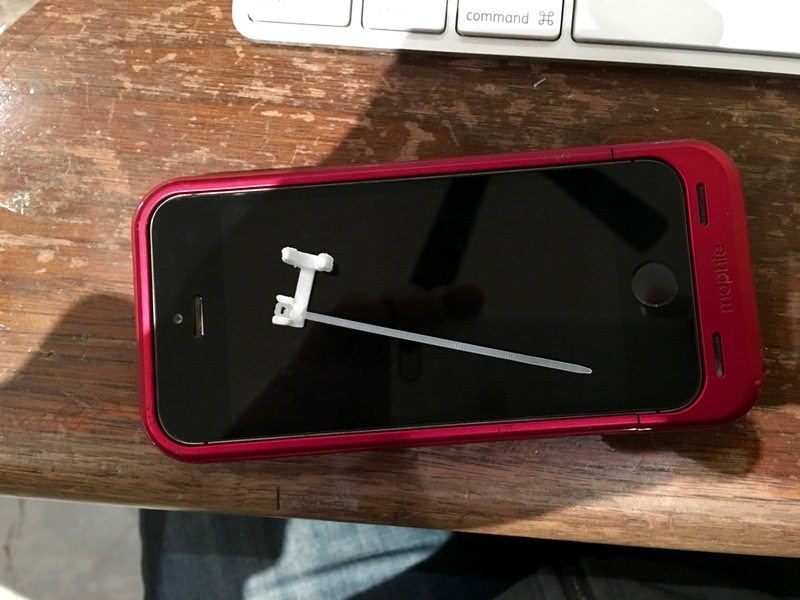 Generated on a 3D printer, the shunt clip incorporates the use of micro zip ties and catheter tubing. The brachial artery and vein were modeled with a loop of surgical tubing embedded in a silicon arm. A pump and reservoir circulated green water through the severed brachial artery analog. A tourniquet was employed and repairs with both devices were made by a group of 20 participants representing the general population. The tourniquet was released to test the repairs. The ease of use of each device was measured by timed trials for comparison. Heart rates of each participant were recorded before and after each trial to monitor stress. There were 40 trials for each device (2 for each participant) for 80 total trials. The EZ TIE was an average of 36.92 seconds faster than the control. The control device, Improvised Vascular Shunt with Silk Ties increased heart rates an average of 2.65 beats per minute more per trial than the test device. No failures were observed when the tourniquets were released. The result of Logan’s experiments with the emergency 3D-printed vascular shunt were successful: The EZ Tie Emergency Vascular Shunt with Micro Zip Ties was quicker to employ than a traditional improvised vascular shunt with silk ties. Here at Airwolf 3D, we really love seeing all the wonderful things that people create using our 3D printers. It’s particularly amazing to see inventions such as the EZ Tie Emergency Vascular Shunt, which truly has the potential to save lives and greatly improve human quality of life. Congratulations, Logan. We can’t wait to see what you come up with next! Want to learn more about hosting your own Student 3D-Printing Competition? For more information, please contact Airwolf 3D at (949) 478-2933 or email us at info@airwolf3d.com. This entry was posted in 3D Printing for Education, 3D Printing for Medicine, Blog, Education. Bookmark the permalink.